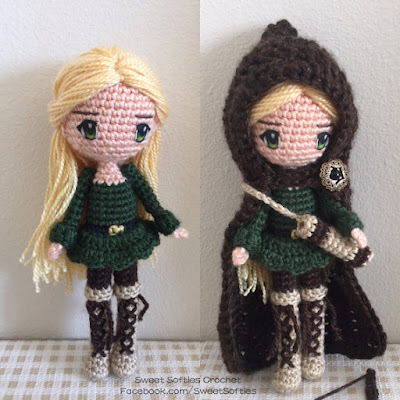 This is a bit of a delayed post, but I'm delighted to share with you that one of my personal favorite designs, Elvira the Woodland Elf, has been featured on another blog! WeeLilBits included Elvira in her blog post: "Top 10 Doll Crocheting Patterns With Instant Download"! I am absolutely honored and humbled. Thank you, WeeLilBits! This is a fun article to read, and I loved seeing all the different and beautiful doll designs. The variation of styles that can be achieved in the art of amigurumi and crochet is just mind-blowing! If you have some time, please check out the article and WeeLilBits' cute blog, too!